ONE-STOP SHOP for Senior Care Solutions! Being a centralized resource for our clients is one of our missions. It’s important to find a trustworthy and quality provider when you need support services. This site was specifically designed to identify Elder Care resources and information quickly and easily, without clutter and confusion that can distract you from locating the most suitable Eldercare solutions based on individual needs. Our guiding philosophy is to provide clear, unbiased elder care information that empowers the consumer to make wise and practical choices. Eldercare includes an array of services, programs, supplies and equipment to aid an aging adult. Senior Living Advisers – Over 400 Advisers across the U.S. and Canada who will do an assessment of you or your loved one’s care needs, lifestyle, budget, and preferences for senior living, then provide suggestions from the many options available. Please feel free to call Geni and discuss your specific situation and options. We offer MANY services other Realtors don’t provide that will help you in each stage of life. 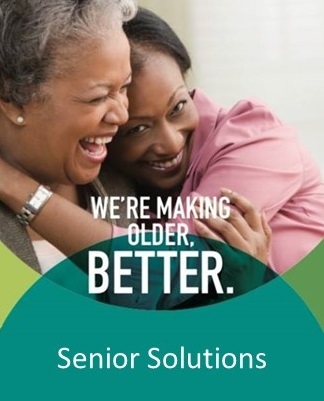 If you would like assistance from our Elder Care Concierge or you would like to receive our newsletter ‘ Senior Solutions & Baby Boomer Lifestyles’ fill out the form to the right.